An amazing team has grown up in the last year. It was unbelievable to reach all of these goals. As we approach our public sale the Essentia office’s around the world are becoming increasingly hectic! We don’t mind though, time and work spin away when you believe in the mission. It can be easy to get lost in everything that been happening at Essentia and our community. So let’s buckle down and run through everything that happened last month. This month we’ve integrated, as well as partnered with Akasha, an Ethereum based social network providing a secure and censorship-resistant environment for content sharing. Find more info about our partnership and future cooperation here. We have finally released the Essentia demo. Now you can go through a simple registration process and try the framework for yourself on our website. Now users can remain signed-in for 30 minutes without needing to re-login multiple times. Inactivity for 5 minutes however, means automatic sign-out for the sake of security. The registration process in Essentia demo is now a lot faster and convenient. You do not have to save the Seed and Keystore file immediately when registering. You can do so later in the settings. We have implemented a support feature in the demo. If you have any questions, complaints or simply seek additional assistance, do not hesitate to contact our support team. Popups have been added to the Essentia demo. They help describe every separate widget, as well as to provide brief instructions on how they can be used. If users create mnemonics in other wallets — such as JAXX, Trezor, MetaMask, Exodus, imToken and more — they can now be used to access Essentia. For users’ convenience, we have added the drag and drop function for storages. Adding efficiency and convenience, you can now upload your files with even more ease than before. This month we are proud to welcome a new heavyweight duo of advisors! Moe Levin: Co-founder of the first accredited Blockchain Academy and organizer of the ‘World Blockchain Forum’, the largest ever crypto conference by number of attendees. Ismail Malik: Member of the board of Icon Foundation, the founder of the world’s first Blockchain Lab. The list of their credentials is so long that we will need more than one article to throw light on each of them! The Essentia Team is looking forward to working with Moe and Ismail and is excited to introduce them to our crew. Essentia was the golden sponsor of Europe’s premier cryptocurrency and blockchain conference, Crypto Summit 2018, which took place on 27–28 March in Zurich. Essentia Founder Matteo Gianpietro Zago gave a speech on Essentia’s promise and details on the use-cases/features. If you missed the event, we strongly encourage you to take a look at the video here. On April 2–3 we attended another big event in the crypto sphere — the Global Blockchain Forum in San Francisco, California. In Matteo’s speech, he discussed his own journey bringing him towards blockchain as well as the potential for the technology’s evolution in the future. Here’s a little glimpse ahead of what’s happening in April — we are attending many events! So if you would like to know where you can meet and greet us you can find all the information in our Roadshow. The presale officially started, for more details contact ir@essentia.one. At the moment Essentia is working on building partnerships with enterprises and companies. We believe that blockchain is the technology of the future, so as we have offered our framework to be used by the government of the Netherlands, we continue to look for the real world use-cases. 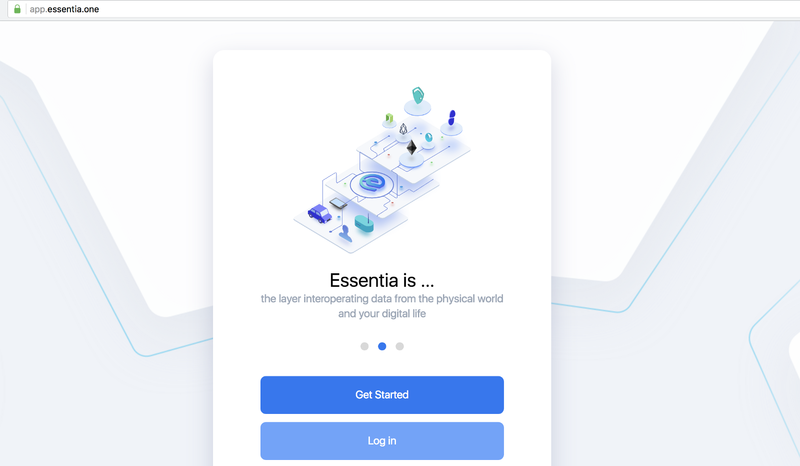 We intend to step forward to the new decentralized world and offer Essentia as a tool to be used by the whole world, in day-to-day life. More news on that will be announced later in the course of the month. We also opened the whitelisting on the website. Be sure to reserve a spot so you don’t miss a chance to participate in the public sale.